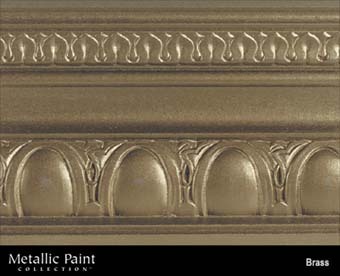 DiscountPaint.net :: MANUFACTURERS :: MODERN MASTERS :: Metallic Paint Collection :: MODERN MASTERS METALLIC PAINT 99845 ME-289 BRASS SIZE:1 GALLON. WOOSTER 1113 DERBY GRAY CHINA BRISTLE FLAT PAINT BRUSH SIZE:2.5" PACK:24 PCS. USA 483-1442 LIQUID SURFACE PREPARATION SIZE:QUART PACK:12 PCS. REAVES 53116 VG165XL EXTRA LARGE GLOVES PACK:100 PCS. RUSTOLEUM 77867 7786730 SMOKE GRAY STOPS RUST SIZE:1/2 PINT PACK:6 PCS. SASHCO 10010 GRAY BIG STRETCH SIZE:10.5 OZ. PACK:12 PCS. SEYMOUR 16-658 SPRAY RED/ORANGE FLUORESCENT STRIPE INVERTED TIP WATERBASE MARKER SIZE:16 OZ. SPRAY PACK:12 PCS. INSLX IN21295 AQ 0400 WHITE AQUALOCK PLUS WATER BASE PRIMER SEALER STAIN KILLER SIZE:5 GALLONS.